There can’t be many hunters as lucky as AL Butcher of Upland, California. Not only did Al draw a spring Unimak permit in 2005 and harvest a great bear, but drew another tag for the fall season in 2008. 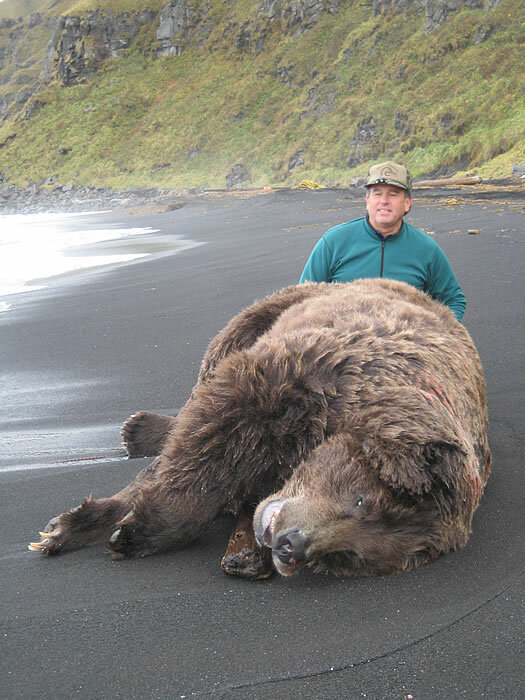 Al’s fall hunt presented a unique scenario where there were two huge bears feeding on a whale carcass on the beach. It’s not often you have a choice between two 10’ plus bears at the same time. Al’s bear squared 10’4”.